Reliable door locks and hardware are of maximum importance when it comes to having sturdy and dependable doors in your home. Without proper hardware, the door won’t stay up or work as it’s supposed to. And, of course, hardware is what makes a door safe. In order to make sure your investment (and your loved ones) stay safe, choose Trim Team as your door and hardware specialists. Too often is the word “affordable” misconstrued for cheap or flimsy. When it comes to affordable locksets, however, you’ll be able to get exactly what your home needs at a bargain! Affordable locksets do their job. They keep the door shut and locked when you need it to be and provide entry when necessary. Affordable locksets may not look as flashy as more expensive options but they work just as well. They are great for interior doors but also work wonderfully on exterior or entry doors as well. It all depends on your specific wants and needs. Affordable locksets provide a more subtle, minimalistic design. Nothing goes better with a beautiful front door than a high-end entry handle set. At Trim Team, we offer high-end, handcrafted entry handle sets that will bring a touch of class and elegance to any home. Since our handle sets are made to suit your aesthetic needs, you’ll receive a completely original, one-of-a-kind product that encapsulates your exact mood. But don’t let the beauty distract you. Although these handle sets are refined, their interior mechanisms and hardware still work as hard as you expect them to. Apart from handles and locksets, door hardware like nails and hinges are necessary to support a reliable entryway. These pieces of hardware often go unnoticed but they play a vital role in keeping your home in tip-top shape. These accessories will help you make your door look good and work as it’s supposed to. Doors require reliable mechanics and hardware to work properly. 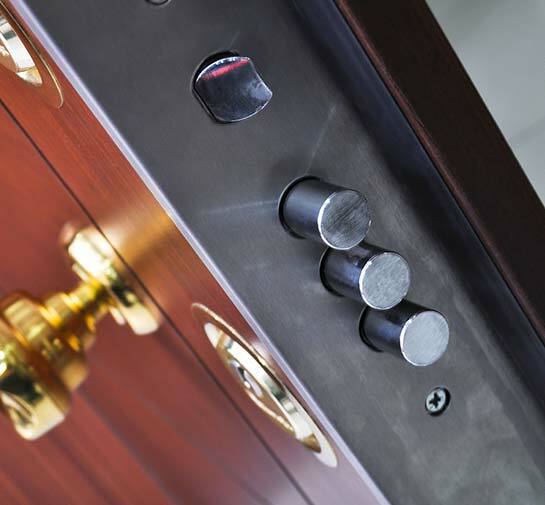 In order to make sure every door in your home is strong, resilient, and reliable, choose door hardware from Trim Team.